This may sound weird if you read this in a few years, but there was a time when soccer was an absolute non-factor to US media outlets. Now, we live in a time where ESPN, NBC, Fox, and any other sports media company with a digital outlet are battling for the streaming rights to every league in the world. Most sports fans couldn’t even name the United States’ top soccer league prior to the 1994 World Cup. Major League Soccer wasn’t a major draw when it launched in 1996. Jesus Christ! Look at those dumbass uniforms. I went to a game between the Tampa Bay Mutiny and the New York/New Jersey Metro Stars during the league’s inaugural season. There were less than 10,000 people in the stands at the old Tampa Stadium, which held 70,000. More of those people were talking about the Debbie Gibson concert after the game than were talking about what was happening on the field. Things are very different in 2018. The MLS is a lot bigger. Not only do several US cities have soccer specific stadiums for their MLS franchise, but tons of folks born and raised in the USA are diehard fans of clubs in the English Premier League or Spain’s La Liga. They wear their scarfs with pride. 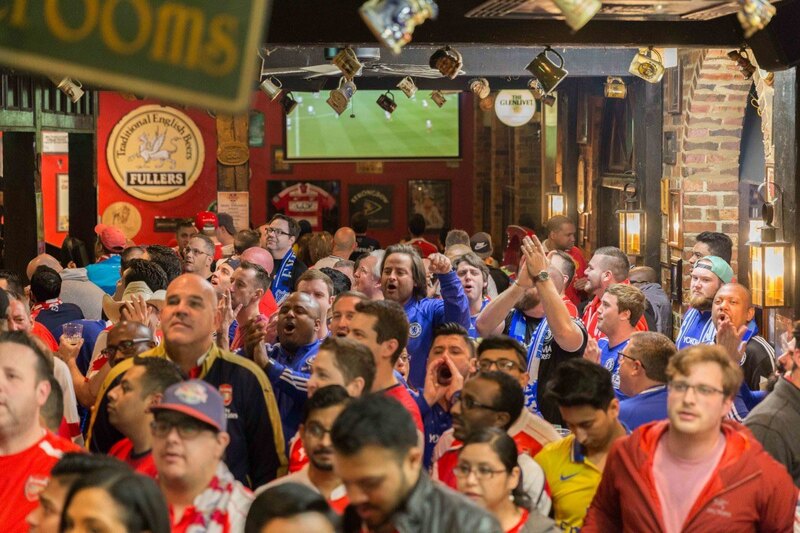 They pack bars on Saturday and Sunday mornings to watch their side. Soccer fandom in the US is as healthy as it has ever been and soccer programming on television is valuable commodity. As I watch and read and write about the prices the likes of ESPN+ and BR Live are paying to carry leagues from Europe and Latin America, I often wonder how far America’s love of international soccer extends. I casually like soccer, and even I can recognize that there are about half a dozen leagues where the level of play is better than that in MLS. I might give those leagues a look on TV, but I would probably go dial surfing if that play-by-play was on the radio. Is that the case with die hard soccer fans? What do die hard soccer fans even want from sports radio? If you love international soccer, you can get your play-by-play fix on SiriusXM, but that hardly tells us anything about what the appeal of a package of international games would be to local stations. SiriusXM’s strategy is to have something for everyone. The company is only concerned that people subscribe to their service, not so much that every channel it offers has a certain number of listeners. I asked the program directors of three different stations that serve as the flagship for MLS teams a few questions to get their thoughts on the state of soccer on the radio and the sport’s broadcasting future. Orlando City SC is one of the youngest teams in MLS, but they have a large, dedicated fanbase. City games air on FM 96.9 The Game. 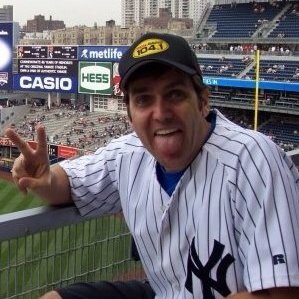 Program director Jack Bradshaw says that while not all of his listeners are soccer fans, the ones that are react mostly positively to morning man Mike Bianchi’s coverage of the team. Bradshaw says his morning show devotes a portion of every Thursday show to discussing Orlando City. City has gained a large fan base quickly, and I wondered if that might have something to do with the Orlando Magic’s struggles. The Magic hasn’t had a winning season in the NBA since City joined MLS. On the other end of the MLS age spectrum is Sporting Kansas City. It was one of the original MLS clubs, of course, at the time the team was called the Kansas City Wizards. Kevin Kietzman serves as the sports director of the team’s flagship station Sports Radio 810 WHB. I can attest to seeing a similar reaction from hockey fans in my time on the radio here in North Carolina. This is only a theory, but I wonder if it has something to do with feeling like you need to waive the flag for a sport in a geographic area where it doesn’t have overwhelming support. If there is a market in the US that could be described as a soccer town, it might be Seattle. Sounders FC has a large, passionate fanbase. It has seemingly been like that since the team launched in 2009. I asked program director Rich Moore of 950 KJR how that happened. So here’s what I took away from these conversations. Soccer is having a moment in the United States but that moment doesn’t resonate across the sports media spectrum. America may be coming around to watching international soccer on TV, but when it comes to the domestic product, it may be more about the experience.